Romance author Meg Benjamin is back for a visit. Today we’re chatting about her new paranormal novel, Unseen. During her virtual book tour, Meg will be awarding a $20 Amazon or Barnes and Noble (winner’s choice) gift card to a lucky, randomly drawn winner. To be entered for a chance to win, use the form below. To increase your chances of winning, feel free to visit her other tour stops and enter there, too! 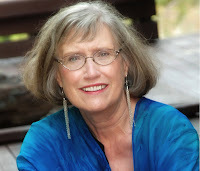 Meg Benjamin is an award-winning author of romance. Her newest series, the Folk, is a paranormal trilogy from Soul Mate Publishing set in Colorado. Meg’s Konigsburg series is set in the Texas Hill Country and her Salt Box and Brewing Love trilogies are set in the Colorado Rockies (all are available from Entangled Publishing). Along with contemporary romance, Meg is also the author of the paranormal Ramos Family trilogy from Berkley InterMix. Meg’s books have won numerous awards, including an EPIC Award, a Romantic Times Reviewers’ Choice Award, the Holt Medallion from Virginia Romance Writers, the Beanpot Award from the New England Romance Writers, and the Award of Excellence from Colorado Romance Writers. Welcome back to Reviews and Interviews, Meg. Please tell us about your newest release. 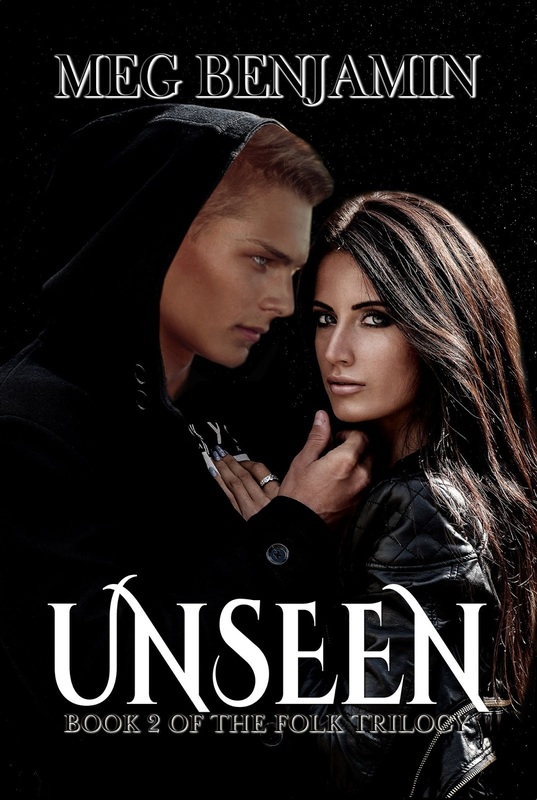 Unseen is the second book in my Folk series. The Folk are descended from European fairies and living in the Rocky Mountain region. In Unseen my hero, Teran Richter, has been hired to find possible members of the Folk living in a remote mountain town, Animas, Colorado. Teran is half Seelie and half mortal, just leaning to accept his Folk heritage. He and his assistant, Reynard, arrive during Animas’s annual Fall Festival, which involves a lot of parades, some beer drinking, and a ritual burning of a straw man as the festival climax. However, what seems like a routine assignment soon becomes dangerous as Teran and Reynard are attacked by unknown enemies. Teran gets some help from the locals, including Marika Sager, a talented weaver who becomes a lot more than just his local contact. The final confrontation with their attackers brings help from an unexpected source. Can Teran prevail? Well, of course, but at what cost? This is the second book in the Folk Trilogy, so it picks up some of the threads from Book 1 and that’s a major influence. But I was also inspired by one of my favorite mountain towns, Crested Butte, Colorado, and their annual Vinotok Festival. Vinotok always struck me as the kind of festival supernatural beings would enjoy, so I had a great time bringing the festival and the Folk together. The third book in the Folk series, Found, will be released in March 2019. It features many of the characters from the first two books, as well as the ongoing mystery of who’s trying to undermine the Folk and their leaders. It’s always a challenge getting the story worked out. I’m a plotter—I need to know where I’m going when I get started, so I have to work it out in advance. That’s pretty dreary, but it has to be done. Once I’ve got a road map worked out, I can feel free to take detours and scenic routes because I know there’s always a main road I can come back to. My research for Unseen was largely into fairies and their traditions. I used Anna Franklin’s Illustrated Encyclopaedia of Fairies, which was a font of information as well as being a lot of fun. I read Franklin before I started working on the Folk series, and then used the notes I made to flesh out the Folk world. I write in my study, which is on the second floor with a great view of the neighbors’ back yards. It’s not as scenic as our bedroom, which has a view of the mountains, but that’s sort of a plus since it keeps me from daydreaming too much. I have my beloved MacBook set up on the desk with my UE Boom speaker on the bookcase behind me. I can’t write and listen to music at the same time, but occasionally it’s great to take a break. I love reading thrillers, mysteries, and regency romances. Right now I’m working my way through Karen Rose’s Baltimore and Cincinnati thrillers, with occasional stops at Grace Burrowes regencies for relief. I hope your readers will enjoy the Folk. It’s not a traditional paranormal series in a sense—Prince Bertie is a regency hero and Teran has some resemblance to a classic cop. But it’s got enough of the supernatural to appeal to readers who love fantasy. Plus it was a lot of fun to write! Love the cover and the excerpt!